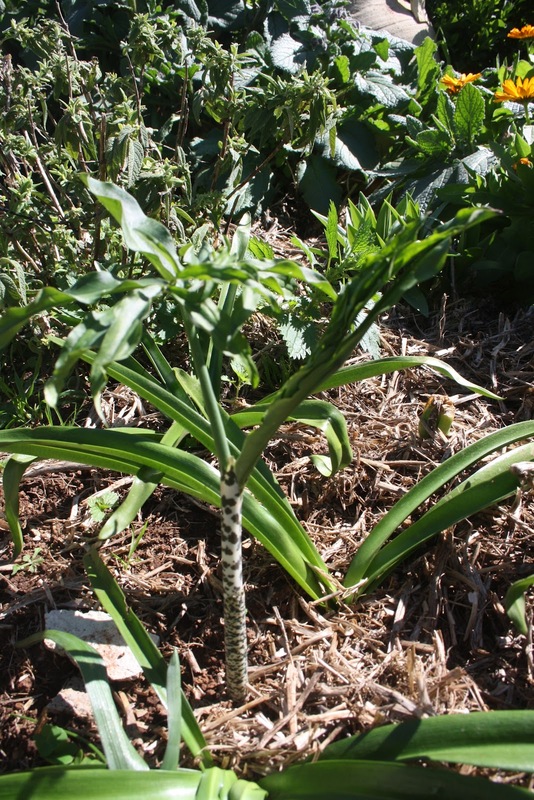 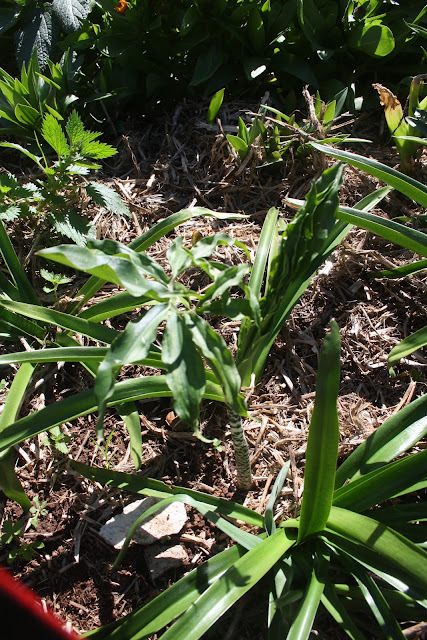 ... the stem is quite striped (as the original plant was) and the new leaf is unfolding. I have never seen this plant flower, but I am waiting to see whether it is similar to the other "cobra lily" that I have in the garden. I can only imagine how the intrepid explorers of olden days felt when they found new and intriguing species in their travels.